"Tribal Memories" Reviewed by RadioIndy.com! 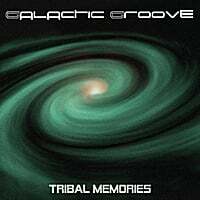 The terrific single, “Tribal Memories,” by Galactic Groove is an Electronic soundscape offering rich musical tones of percussion, harp, and flute. This single has just the right elements of sounds and textures as the instruments weave together a cohesive and stunning melodic melody. The percussive drums have a beautiful blend of World/Afro sounds while the electrifying harp strums a mysterious sounding riff. The flute enters the song with a calm and relaxing quality that seems to soothe the mind and soul. The ambiance of this single is rich and mellow and has a natural free flowing rhythm. It sets a mood of relaxation and has vibes of feel good character. If you like dreamy Electronic music with a soft and soothing tonality then the splendid single, “Tribal Memories,” would be just the song you need to hear.